NEED A BREAK FROM THE COLD? 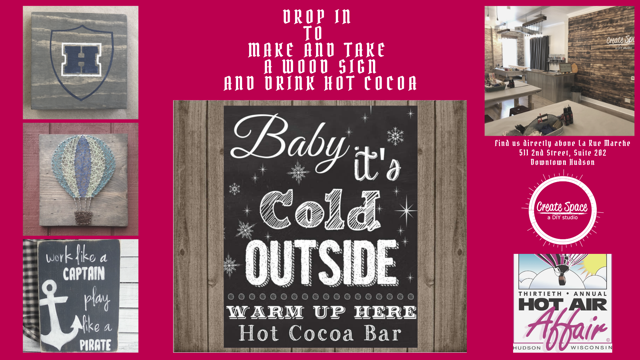 Bring the whole family – drop in to make and take a wood sign and warm up with hot cocoa. No need to pre-register. Make a free mini sign in just 20 minutes, or if you need a little longer to thaw out complete one of our larger projects.